WASHINGTON, D.C. — Sonny Purdue, the United States Secretary of Agriculture, announced that the United States Department of Agriculture (USDA) will reopen Farm Service Agency (FSA) offices around the country for a limited time while the government shutdown continues. The FSA offices will be open on Thursday, January 18 and Friday, January 19, along with Tuesday, January 22. In observance of Dr. Martin Luther King Jr. Day, government offices will be closed on Monday, January 21. In a press release Tuesday, Purdue was quoted saying that the USDA is trying to provide aid to American farmers and ranchers during a lapse in funding from the federal government. Not all FSA offices will be open, but the offices that will reopen will be able to help farmers with existing loans and taxes. “We are bringing back part of our FSA team to help producers with existing farm loans. Meanwhile, we continue to examine our legal authorities to ensure we are providing services to our customers to the greatest extent possible during the shutdown,” Purdue said. According to the press release, farmers that have loan deadlines that occur during the gap in government funding will not need to make payments until the government shutdown ends. 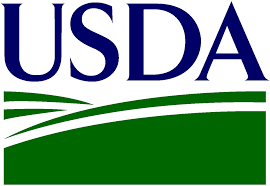 For a list of specific services that the Farm Services Agency will provide during the temporary reopening, check out the United States Department of Agriculture’s website.